Android-based console with touchscreen controller with free to play games for $99. Deal? 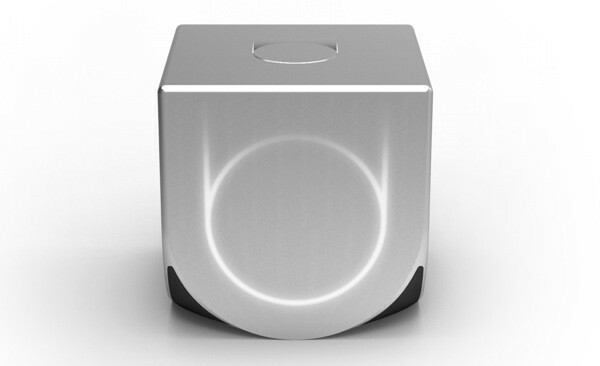 OUYA is a new game console for the TV, powered by Android. We've packed this little box full of power. Developers will have access to OUYA's open design so they can produce their games for the living room, taking advantage of everything the TV has to offer. Best of all, OUYA's world-class controller, console, and interface come in one beautiful, inexpensive package. All the games on it will be free, at least to try. Great games come from great developers. Developers can wave farewell to the roadblocks of bringing a console game to market. Anyone can make a game: every OUYA console is a dev kit. No need to purchase a license or an expensive SDK. It's built on Android, so developers already know how it works. That doesn't mean OUYA is an Android port. You can create the next big title in your bedroom – just like the good old days! Who needs pants!? OUYA could change AAA game development, too. Forget about licensing fees, retail fees, and publishing fees. Have at it: It's easy to root (and rooting won't void your warranty). Everything opens with standard screws. Hardware hackers can create their own peripherals, and connect via USB or Bluetooth. You want our hardware design? Let us know. We might just give it to you. Surprise us! Because OUYA is based on Android, any app developer could publish their Android app to OUYA. The possibilities are limitless, and conversations with potential partners are already underway. Here’s our first: do you like watching StarCraft, or League of Legends? Watch Twitch.TV on your OUYA. Let’s open this sucker up! It's time we brought back innovation, experimentation, and creativity to the big screen. Let’s make the games less expensive to make, and less expensive to buy. With all our technological advancements, shouldn't costs be going down? Gaming could be cheaper! It has potential to be cool as hell... is 1gb of RAM enough though? I don't know the standard for consoles. I think it's streaming though, so would it matter that much? I'm not 100% sure on that but that seems probable. Seems like a really good idea that is paradoxically too soon to catch on and be accepted, and too late to correct the massive mistakes of this gen. I'd like to see it succeed if for nothing else to break up the current cost model of game development. was about to drop 400 bucks on a Asus Transformer Prime but that's not what I need, this is what I need! How do they make it so cheap though? unanounced release date, no screen. But yeah, I might be willing to drop 20 bucks for this kickstarter and buy it if it doesn't take forever to come out or the specs are upgraded. For $100 I'm curious. This will do well as a "get this for the child so they'll shut up" - but if it takes off, sky's the limit. It's all about what games ARE there. I can wait. It seems pretty low, I think the 360 has 512Mb and is quite a few years old at this point. Would probably help to keep the price down though. Yeah, but RAM is pretty cheap at this point, they could easily drop 2gb in without raising the price (too much). This feels like one of those things that people get really hyped for, but never end up buying. Like those portable NES/SNES players. lots of indie developers? i like the idea. I was thinking the same thing. I seen the kickstarter page at about $100k and said "ha, this will never reach their goal". Less than 8 hours of it being up they hit $1.2million. And currently are almost at $2.7 million! I haven't really dived into indie gaming but this looks really interesting. As of right now there has been $2,795,869 funded by 22,235 backers. It should be noted that the games are not entirely free-to-play, but must have a free-to-play element. That could be something as simple as a demo. So expect to be paying for playing games. The 360 may be old but the retail games on that thing are still 5x more complicated than an android game. I don't see the need for even 1gig really, but that's a decent amount for the XBLA quality you can expect to get on Android.